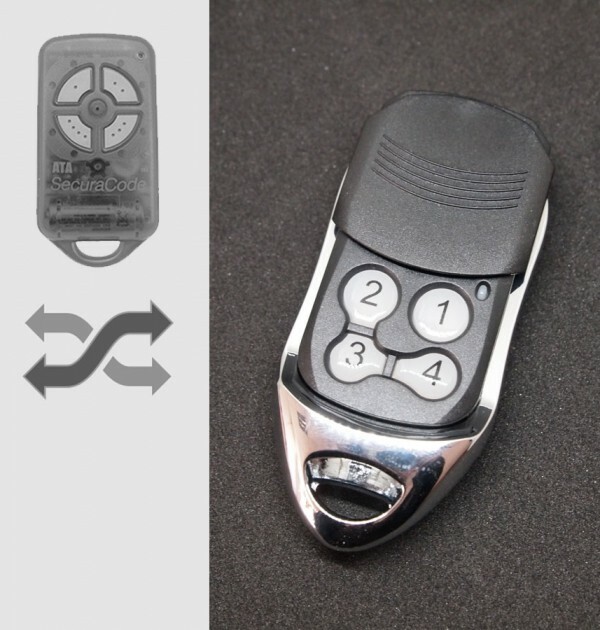 An aftermarket compatible remote, perfectly replaces your plastic ATA remote control, works where ATA PTX-4 works. Wondering if it works same as ATA PTX-4 remote? Watch our video showing how we program it to ATA standalone receiver. 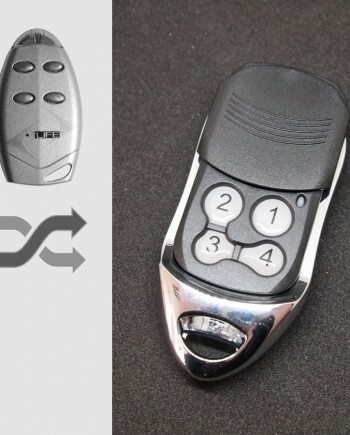 Our ATA #A1 compatible remote replaces many ATA remote control models including genuine ATA PTX-4 blue or pink key fob remotes, as well as other ATA remote models such as TX5 etc, it also works with ATA radio remote systems using KeyPad control, or even models under other manufacturer brand, such as Herculift remotes, as long as they’re using SecuraCode technology. Compatible ATA door operators includes GDO-2 v5 v6 v7 SecuraLift overhead garage door operator, GDO-4 V3 V4 V5 V6 EasyRoller, GDO-6 v2 Slim-Drive EasyRoller roll up garage door motor, GDO-7 v1 v2 SecuraLift II overhead garage door motor, GDO-8 v1 v2 EasyRoller II roll up garage door motor, GDO-9 v1 garage door motor as well as CRX1 and CRX2 standalone receivers made by ATA. Not compatible with some other ATA remote control models using latest ATA PTX-5 remote using TrioCode technology. 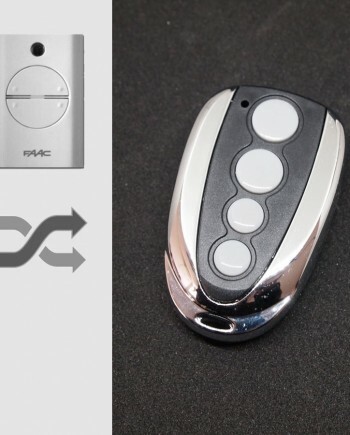 ATA remote controls are made by Automatic Technology Pty Ltd, an Australian owned world leader in remote access systems for garage doors and gates. The Automatic Technology brand, for many years known as ATA, is renowned for continually improving remote access technology. Based on our marketing research, the best-selling ATA remote control models are ATA PTX-4 remotes, PTX-5 V1 TrioCode remotes and PTX-5 V2 TrioCode 128 remotes. 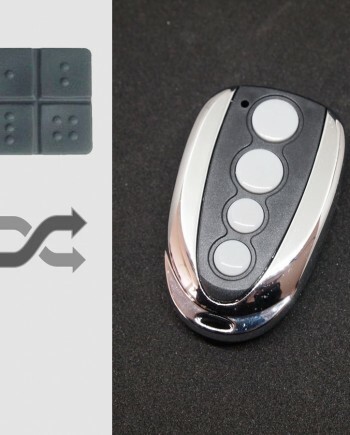 ATA PTX-4 is a four channel remote control key fob for rolling door openers, overhead door openers, sliding gate openers, swing gate openers, heavy duty rolling door openers, industrial shutter openers, industrial overhead door openers etc. 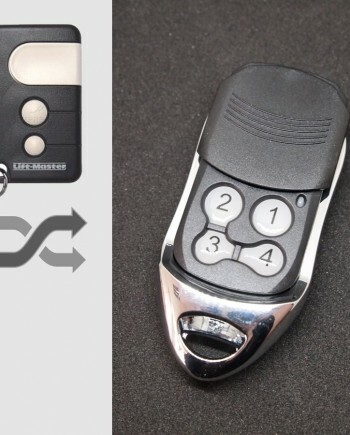 The remote control features 433 MHz SecuraCode code hopping technology, which generates a new random code from over 4.29 billion possibilities with each key press. 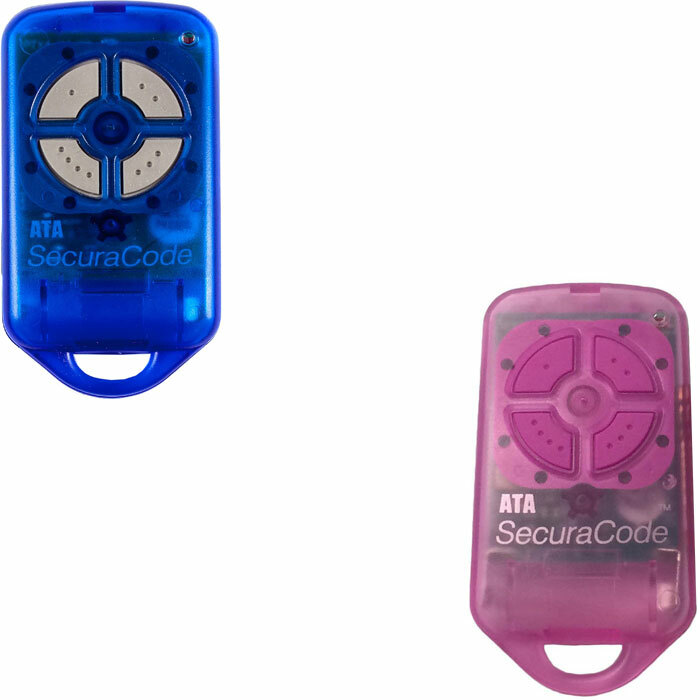 ATA PTX-4 SecuraCode remotes are used in pre-2007 automations sold by ATA and they have been replaced by TrioCode system in 2007, then replaced by Tri-Code 128 system in 2012, they’re not compatible with each other. 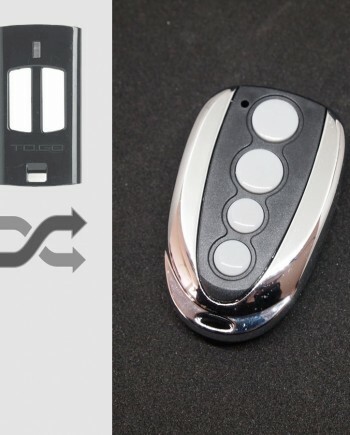 ATA brand remotes are widely used in Australia and New Zealand, so there are many locksmiths, garage door opener & gate remote dealers need ATA remote controls in this region. Official ATA PTX-4 remote control programming guide is missing on ATA website, you can find it on your door opener’s owner book, link to 3rd party manual is here. Watch programming video for ATA PTX-4 on YouTube, our replacement remote works the same as genuine ATA remotes, so they share the same programming procedure. We make ATA PTX-4 compatible remote in our factory in China, so we know our products better than anyone else in the world. We’re confident in our engineering team & quality control, actually our ATA compatible remote uses the same key components as genuine ones. 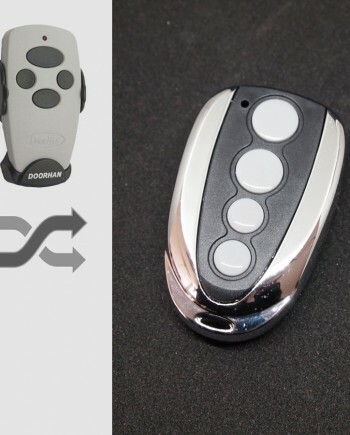 Comparing our factory-direct low price with high price of genuine ATA remote, you can have considerable profit by selling our products. * Our ATA compatible remotes are white label products with optional logo printing service for bulk orders.